Since the Maelstrom ride at Epcot center is about to pass into history and be replaced by another "Frozen" attraction, we will take this opportunity to take one last, good look at this long-time popular ride. No doubt all the little princesses out there will be excited about the new "Frozen" ride. However, Maelstrom had a lot to recommend it, and rides that last that long develop their very own following. 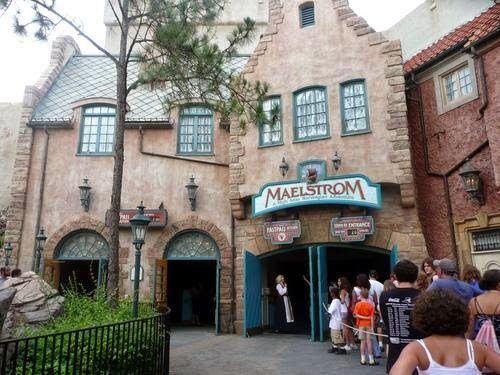 Maelstrom is one of the few in Epcot’s World Pavilion, which features façades themed for countries across the world including Norway, China, Italy, and Mexico, many of which serve alcohol and exotic meals. Putting in a ride that appeals to children is a fabulous idea, though it won't quite fit in with the surroundings. The Norway Pavilion is probably lonely after the "Frozen" princesses left for Princess Fairtytale Hall, so this will return some of the excitement. 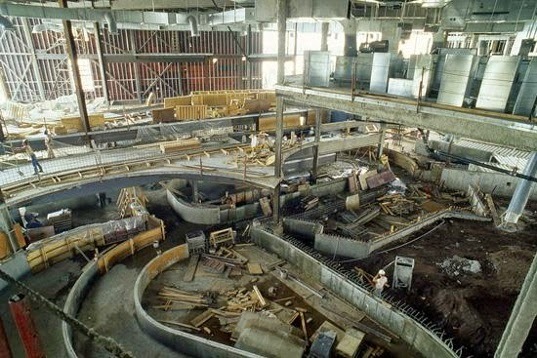 Maelstrom under construction 35 years ago.